In recent years, the 401(k) employer contribution has done more than almost anything to get employees on track for retirement. In an era of economic uncertainty and often-disastrous personal finances, companies like yours are rewarding their hardworking teams generously by matching the dollars they’ve committed to saving for their future. In 2013, American companies contributed $118 billion in matching funds to 401(k)s. Companies like yours shared their profits to make those contributions possible—an incredibly generous gift! Investing some of your profits back into the team that helped you earn them is great for company morale. If your company isn’t able to offer a match right now, there are even more compelling reasons to consider adding a match to your benefits menu. Why Offer a 401(k) Match? As generous as companies have been with 401(k) matches, all too often the funds are diverted. At the same time employers offered up $118 billion in 401(k) matches, American workers borrowed back $10 billion from those same 401(k)s! An additional $60 billion came out in simple withdrawals. When you consider that any money withdrawn by workers younger than age 59 1/2 was taxed and penalized, it’s clear that both you and your team are getting zero bang for your 401(k) buck! The reason for the loans and withdrawals is easy to understand. Most Americans, including many on your team, are in a desperate situation with their money. 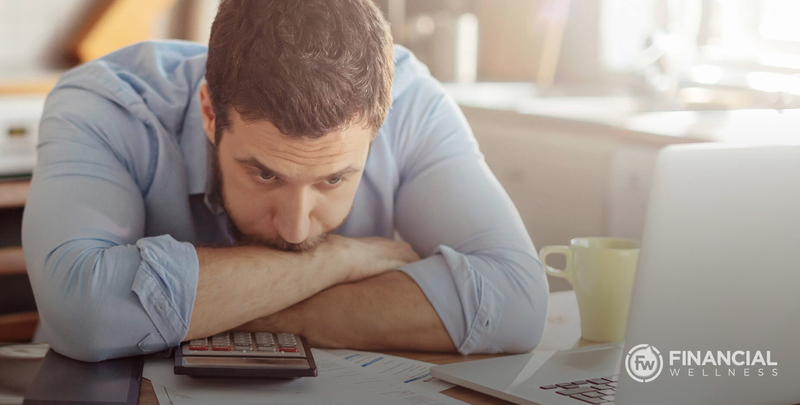 With 70% of Americans living paycheck to paycheck, 64% unable to cover a $1,000 emergency without borrowing money, and 24% of their paycheck going to debt payments, it’s hardly surprising that they tap retirement savings for non-retirement expenses. When life strikes, desperate people do things they know they shouldn’t do. Recruiting the best people and retaining them by offering them a 401(k) match is a great idea. After all, we all want to see the people we care about retire with dignity. Then the profits you pour in to match your team’s retirement savings will no longer be wasted. Your investment in your workers will finally bring about the long-term benefits you intended—both to your workers and your company.